Want to draw or write? But don’t know where to start? 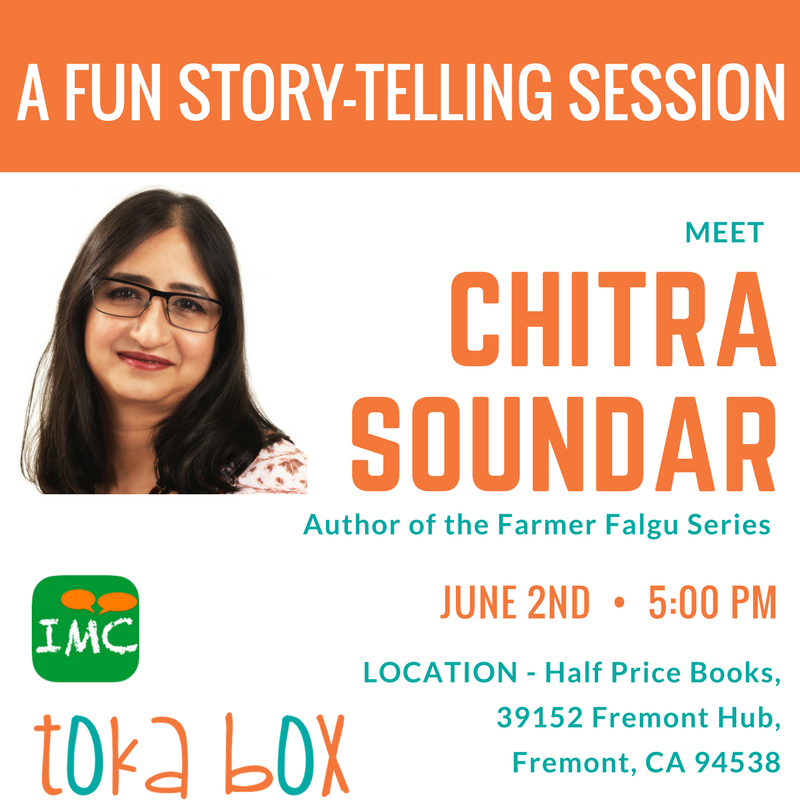 Don’t worry, Chitra Soundar will show you how to make stories out of everything and nothing and something. 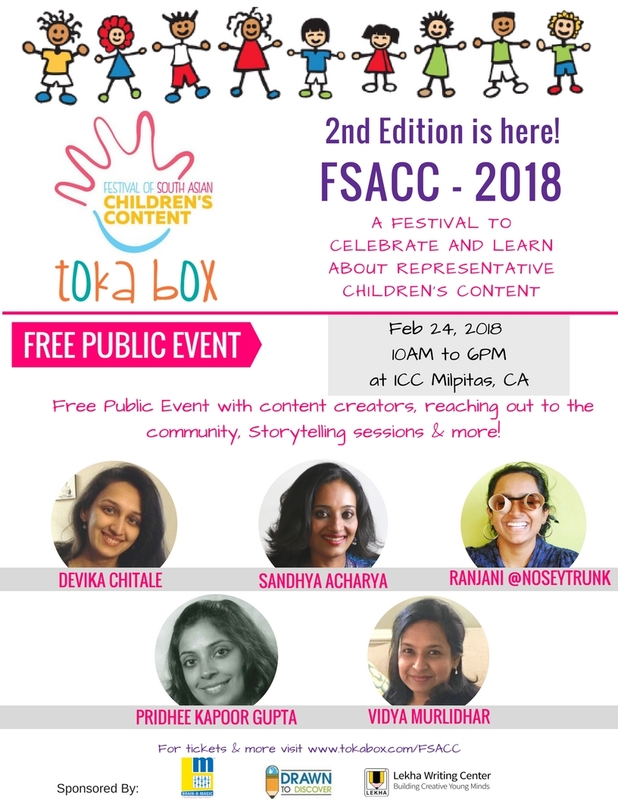 Join us on Dec 3rd at ICC Milpitas to meet the Author Chitra Soundar for a fun story telling event and also for the story writing workshop. Limited tickets only. Grab yours today here. 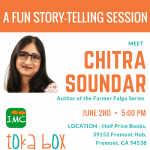 Join us for a free and a fun story telling session and meet the renowned Indian Born British Author, Chitra Soundar. She is the author of the famous, Farmer Falgu Series. Chitra Soundar has over 30 books in print worldwide. In the UK she’s published by Otter-Barry Books, Walker Books, and Red Robin Books. 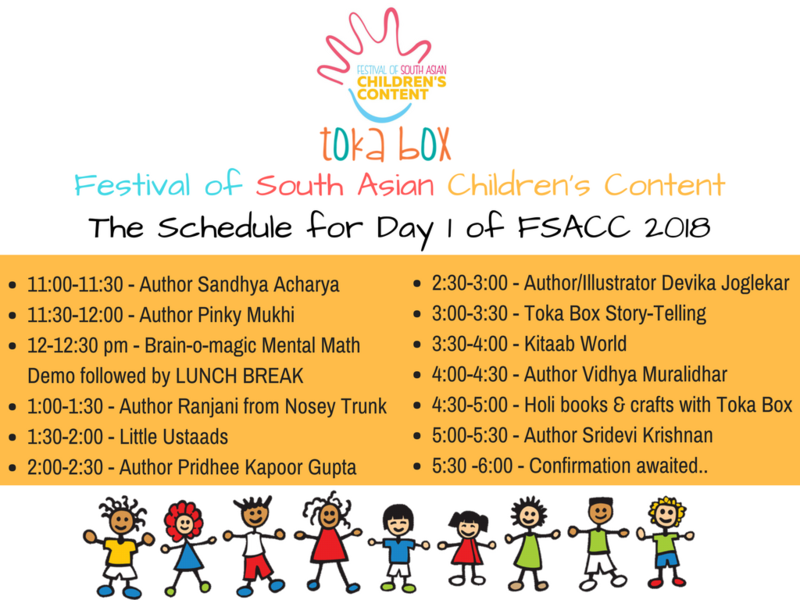 Her Farmer Falgu picture book series with Karadi Tales, has been translated and sold in over six countries. In 2017, A Jar of Pickles and a Pinch of Wisdom has been long-listed for The Little Rebel Prize, and Pattan’s Pumpkin has been long-listed for the North Somerset Teachers’ Book Award.